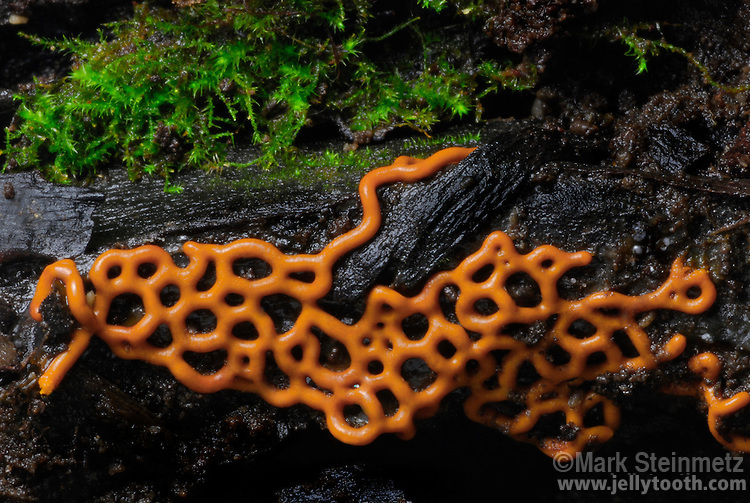 Pretzel Slime Mold (Hemitrichia serpula) on decaying log. Magnification of 1X at 35mm. September. Found in eastern US temperate forests.